What’s the difference between a handcrafted log home and a kit? A kit uses logs that have been milled on a sawmill. They are technically “stacked lumber homes”. 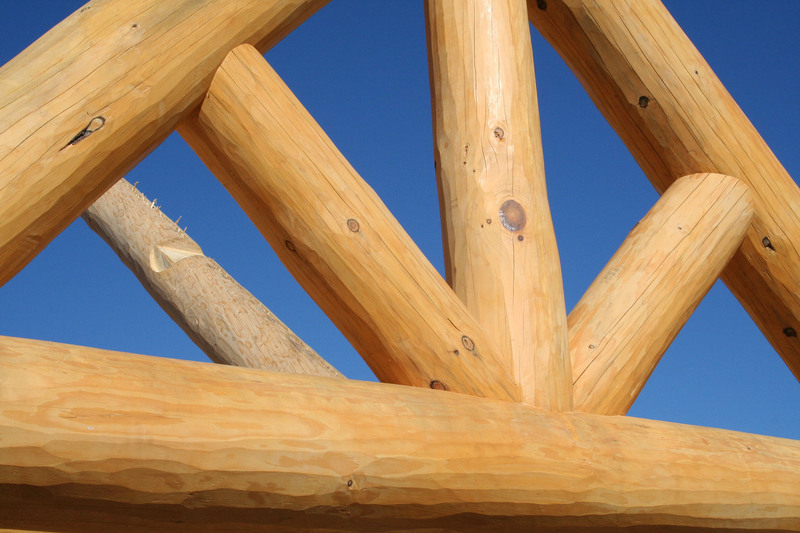 Handcrafted log homes use logs that are full-length, with their natural taper which requires a high level of craftsmanship and mathematical skill. The only time logs are cut on a sawmill is to create a level surface for the bottom of the sill logs, the tops of floor joists and for the roof system to have the correct pitch to receive SIPs or conventional roof framing. Everything else is notched by hand to create a completely unique cabin. 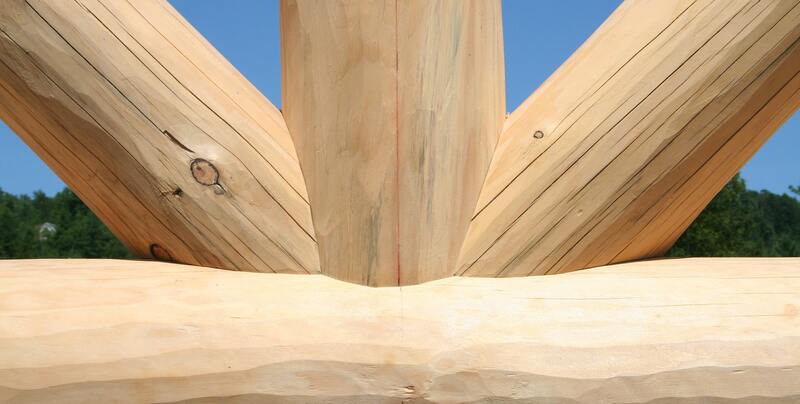 How far will you deliver a log home? We’ve built homes for clients as far away as Ohio and West Virginia. Most of our homes are in the Northeast, but we are willing to deliver anywhere in the United States. All of our log construction takes place in our building yard in Waterford, Vermont. The completed logs are then trucked to the client’s property, where our log builders reassemble them. What size logs do you use? We use logs up to 54 feet in length with 24 inch butts. We will build with smaller logs on request. What type of wood do you build with? Eastern White Pine, Spruce, Cedar and Red Pine. How long does it take to reassemble a log cabin on a foundation? It depends on the size of your cabin, but on average we spend under a week onsite. How long does it take to install SIPs on a roof? Who puts my house up on my foundation? The same log builders that crafted your home reassemble it efficiently and accurately. Brant started Mountain Logworks, LLC in 2000. Yes, we are a member of the International Log Builders’ Association (ILBA), who have created the highest standards for log home construction. We are also a member of the Great Lakes Log Crafters’ Association (GLLCA), who also adhere to the highest standards in the industry. Do you have different models of homes? While we have built similar homes, we have never built the exact same house twice. That’s because different clients have different needs, different land and we use logs that aren’t milled to an exact size. We work with each client to create a house that fits their vision of a log home. We select trees that fit the size of the house for each client. How come you don’t offer plans to shop from on your website? We don’t sell “one-size-fits all” model homes. We work with you to create a house that fits Your Life, Your Family and Your Land. I already bought plans from another company, will you use them if I want you to? We would be happy to use plans that an architect or another designer has drawn, and we have from time- to -time. Please understand houses designed by non-log builders sometimes lack the particulars that log home construction requires. If necessary, we will work you to fine tune your plans to our specifications. What’s special about your designs? Our designer! Molly collaborates with Owner and Logcrafter Brant Schreiber to ensure all designs reflect the expertise of an accomplished log builder with the spatial understanding and visual aesthetics of an artist. Molly is proficient in envisioning exciting structural elements, functional living spaces and practical storage solutions, making every home- regardless of size- a synchronized masterpiece. How much do your log homes cost per square foot? Log home pricing is less about square footage and more about the number of corner notches and desired structural complexities. That’s why we prefer to talk to you in person. Every client we work with requests something a little different; we aren’t a mass-production company. Please call us to discuss your vision! Do you live in a log home? Absolutely! We love them, we build them, and we live in one! It’s our dream home with a big, deep porch, high ceilings and a family orientated great room. 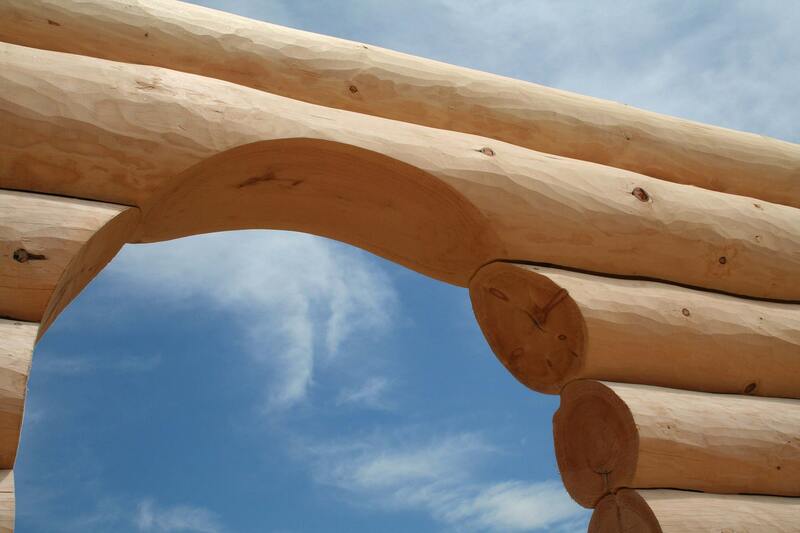 Handcrafted log homes are very special places that are always memorable!